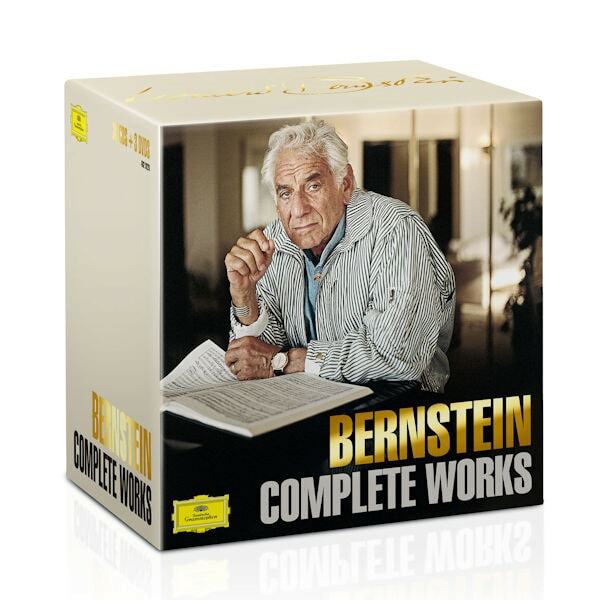 Leonard Bernstein was a musical titan of the 20th Century as a composer, a conductor and a communicator. 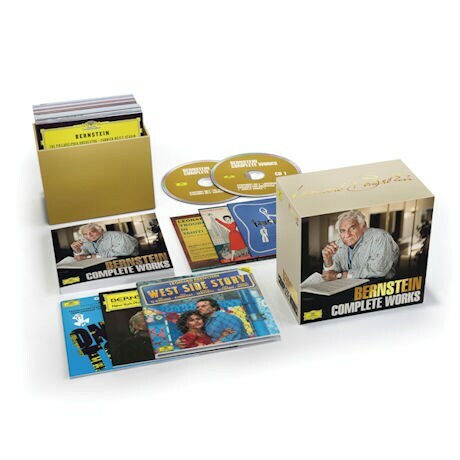 This Limited Numbered Edition boxed set celebrates the 2018 centenary of this remarkable artist by presenting his complete, career-defining recordings for Deutsche Grammophon and Decca, along with the complete conducting performances filmed by Unitel. 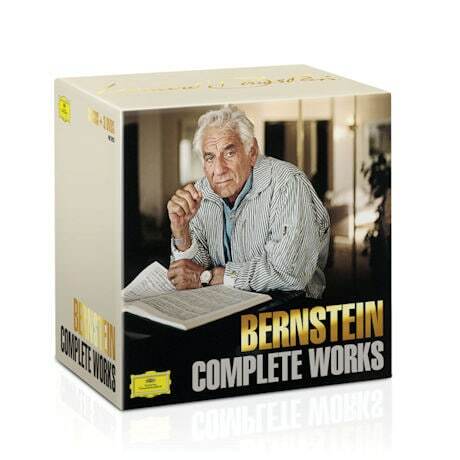 The vast body of unforgettable work collected here —featuring some of the world's greatest orchestras—captures Bernstein in the full flower of his creative power. Each album presented in original jacket art. Includes 200 page book featuring Bernstein biography, essays, and archival photos. 121 CDs, 36 DVDs, 1 Blu-ray audio disc.Please allow 3 weeks for delivery. • Wagner's Tristan und Isolde, recorded on Philips in 1981 - Bernstein described it as "The finest thing I have ever done" and Karl Böhm had this to say when he visited Bernstein during rehearsals: "For the first time, someone dares to perform this music as Wagner wrote it." • CD50-54 HAYDN: Symphonies Nos. 88, 92, 94, 102 • Sinfonia Concertante • Die Schöpfung • Missa in tempora belli "Paukenmesse"